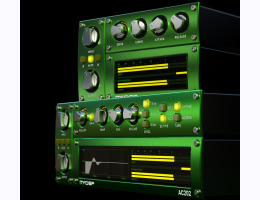 The AC101 configuration acts as a digital pre-amp allowing even excessive amounts of gain without digital distortion. A drive control determines where the audio "sits" in the saturation/compression region, and even the attack and release times of the distortion character are adjustable. "Download the demo of Analog Channel Native"